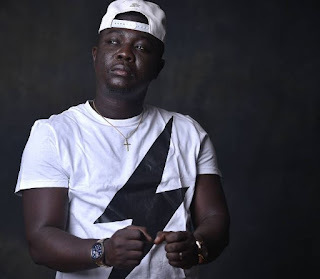 Comedian Seyi Law has announced his that he is set to run for presidency in 2019.Following the recent fall-out between two APC faithfuls, Kaduna state governor and former vice president of Nigeria, Atiku Abubakar, the jester came out to say he will be running for the highest office in the land in 2019 and urged his fans to vote for shift. “Why aim LOW when you can aim HIGH? I believe that the status quo must change for Nigeria to regain its place as a force to reckon with. 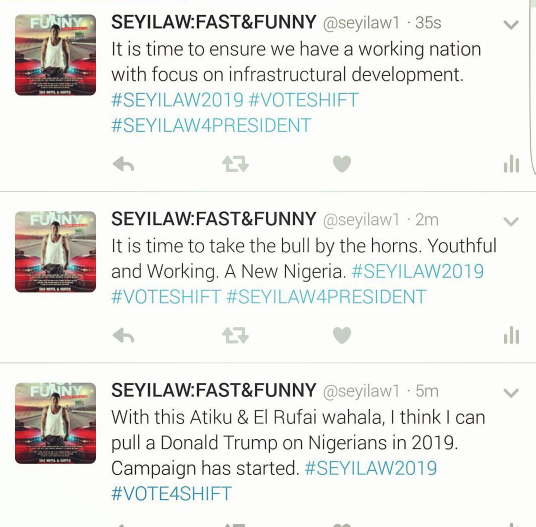 The energy and knowledge of the Nigerian Youth must be put to positive use.